Prom season is among us! 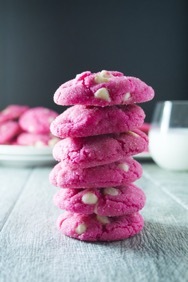 The Features section at the Banner wanted to share with Harriton a recipe for delicious sugar cookies – appropriate for prom-posals, a simple girls night, or even a gift to your favorite teacher by the end of this school year! Spoon into 1.5 inch balls and place them on your cookie sheet – do no flatten! Cool and eat them up!